Today has been spent packing everything from our temporary home in readiness for the permanent move this weekend. But, I met my friend Annemarie for coffee and a mooch around the shops first thing which is always a treat. My thirteen year old daughter absolutely refused to take photographs in the street this morning. I take her point. Photographing one’s mother in public is, I concede, a little embarrassing, particularly when a rather large pack of school boyz is in close proximity. The shed door here at our rental property is quite nice colour though and actually, I much prefer these photographs to yesterday’s. 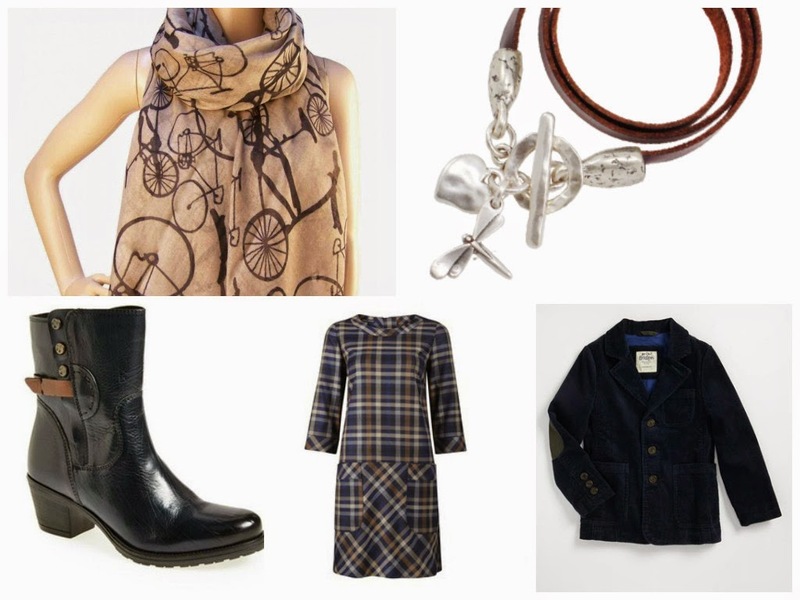 I wore my new navy boots again, this time with a plaid tunic dress, cord jacket and my bicycle scarf which is one of my favourites from summer. I’m crossing my fingers for a smooth legal completion tomorrow. As soon as I get the keys I can let the carpet fitters in and can finally begin turning my new house into a home. Adorable fall look! Love the plaid dress and those cute comfy booties. We just moved too! Such a headache but very exciting! Finally living in the neighborhood I always dreamed about!